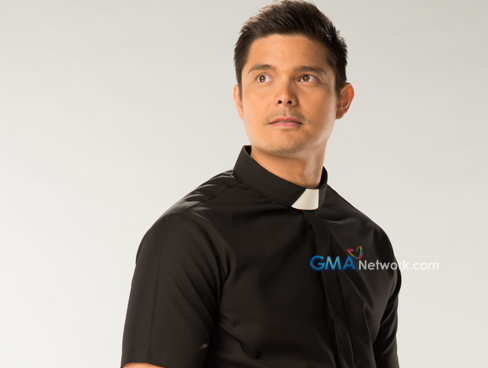 Dingdong Dantes, one of the country's most-sought-after leading men, who is blessed not just with bountiful talent but especially with the heart to reach out and act upon his advocacies, will portray the role of Father Kokoy. Everyone may want to be part of Kokoy's world. Aside from having the complete package of good looks, humor, warmth, and wisdom, he is also being looked upon because of his on-point principles in life. A go-to person in times of problems, Kokoy is the kind of friend who will unconditionally offer a shoulder to lean on. He is the ideal guy, the Mr. Right, and the man any woman would like to introduce to her parents. But here's the catch: Kokoy is a priest. Father Kokoy, better known as "Pari Koy," is a priest who is known for his non-traditional and non-conformist ways of bringing people closer to God. He will do anything just to show that it is cool to believe. But his own faith will be put to the test when he is assigned in the parish of Barangay Pinagpala and starts to deal with the people of the community. Set in a contemporary barangay, stellar performances will be delivered by some of the country's respected and talented artists including Sunshine Dizon as Noemi, the secretary of the parish in Pinagpala who remains to be optimistic despite being maltreated by her husband; Chanda Romero as Martha, the self-righteous leader of the lay workers in the parish of Pinagpala who is against the unconventional ways of Father Kokoy; Luz Valdez as Esther, one of the lay workers in the parish who loves to talk about gossips and rumors; and Dexter Doria as Salome, also a lay worker who loyally serves in the parish despite being teased by Martha and Esther. Bringing more delight in the series are characters to be portrayed by GMA Artist Center's homegrown talents led by Jillian Ward as Sarah, the loving daughter of Noemi; Jeric Gonzales as Eli, the son of Salome who thinks of going to parish is uncool; Lindsay de Vera as Ava, the charming grandchild of Martha who will fall in love with Eli; Hiro Peralta as Sam, the closet homosexual brother of Father Kokoy; and David Remo as Pinggoy, the high-spirited "village's son" of Barangay Pinagpala. And to helm this primetime series is the award-winning director Maryo J. Delos Reyes. After the successful run of the primetime series Niño, GMA takes pride in having him as the director of Pari 'Koy who is known not only for tackling social relevance but for uplifting the human spirit and evoking hope through his masterpieces. Pari 'Koy airs weeknights beginning March 9 after 24 Oras on GMA Telebabad. For more updates, don’t forget to LIKE GMA Parikoy and FOLLOW Twitter GMA Parikoy.